Home / Blog / Celery Seed for Weight Loss? Arthritis? Joint Pain? Gout? Celery seeds matured from the flowers. Indigestion: Celery Seed has been effective in relieving indigestion, upset stomach, bloating and flatulence. Try taking ¼ teaspoon of Celery Seeds with water once daily to help resolve these stomach problems. High Blood Pressure: Celery Seed acts as a vasodilator by widening blood vessels and improves circulation along with its diuretic activity, which helps reduce fluid volume in the body, results in lower blood pressure levels. A recent study on 30 patients suffering from mild to moderate blood pressure levels showed that taking 1 dropper-full (approximately 30 drops) of Celery Seed Extract twice a day lowered both systolic and diastolic blood pressure levels in those patients. However, if you are already taking hypertension medication, it is recommended to consult your doctor before taking it to avoid having blood pressure levels fall too low. PMS and Menstrual Discomfort: Celery Seed, its oil and its extract have been used for menstrual discomfort, menstrual flow and irregular menstrual cycles. Celery Seed contains apiol which is beneficial for the endocrine system and helps alleviate PMS and menstrual disorders. According to recent research taking Celery Seed Extract, one dropper-full daily, for three days from the first day of a menstrual cycle may alleviate the severity of menstrual discomfort and help with PMS. Weight Loss: Celery Seed tea is popular for weight loss as it helps boost your metabolism. Boiling 1 teaspoon of crushed Celery Seed in one cup of water for 15-20 minutes on low heat, reducing the quantity of the tea to half cup and drinking a half cup of this tea twice daily, along with a daily workout routine, may help reduce weight significantly. Anxiety: Celery Seed oil can be very beneficial for treating anxiety, nervousness, mental stress and insomnia. The calming and soporific activity of Celery Seed oil can calm the anxious brain and help promote sound sleep. A great remedy is to add 10 drops of Celery Seed Oil to a warm soaking bath an hour before bedtime to relieve anxiety, nervousness and stress related issues, to help with sleeplessness. Gout: The diuretic properties of Celery Seeds helps flush out excess uric acid by stimulating the kidneys while also helping to alkalize the blood. Drinking 1 cup of tea made with 1 tablespoon of Celery Seed twice daily may help relieve the discomfort caused by gout crystals or Celery Seed Extract may also be taken1 dropper-full twice daily. 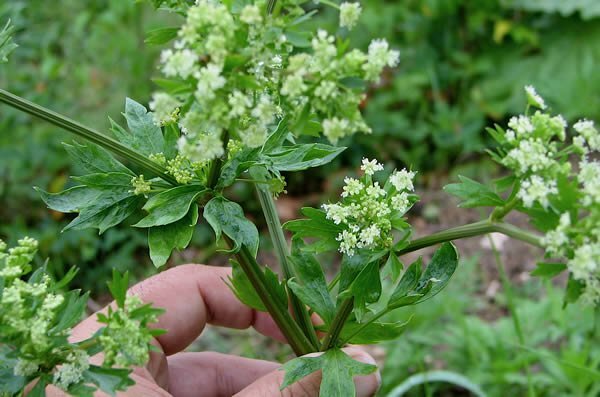 Arthritis and Inflammation: The anti-inflammatory, diuretic, and analgesic activity of Celery Seed helps in the treatment of arthritis and inflamed joint, muscle aches, or sciatica pain can be relieved taking a warm bath with 10 – 15 drops of Celery Oil in the bath water. Celery Seed is designated as a Generally Recognized as Safe (GRAS) product by the FDA in the USA. It has not shown any adverse side effects when used in moderation. However, allergies to celery are not uncommon, so if you experience any adverse reaction you should discontinue use of celery seed and consult your physician. 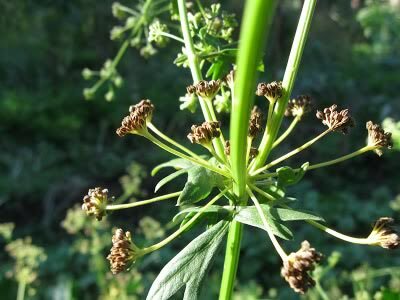 Celery Seed oil contains a compound called Bergapten which can increase photosensitivity so caution is suggested in using the essential oil externally if you will be in bright sunlight. Celery Seed is not recommended for pregnant women because it contains Apiol, which is an abortifacient and in large amounts can result in miscarriage. Therapeutic use of Celery Seed is not recommended if you have low blood pressure or you are taking any type of blood thinners, diuretics and sedative, or taking medication for thyroid problems, sleep disorders, blood disorders, or kidney problems, as it may interfere with the effects of these medications.